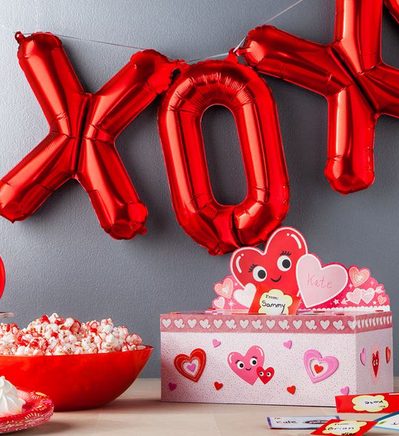 It starts with the Valentine cards, then the candy, then decorations and mailboxes and such. Before you know it, you&apos;ve spent much more than you would have liked on yet another holiday; whether for yourself, your kids or an event you&apos;re hosting, here are three stores in and around Irvine that provide a plethora of Valentine&apos;s Day-themed goodies and craft supplies at surprisingly affordable prices! I didn&apos;t realize that Daiso Japan stores were so in tune with the US holidays. I always knew Daiso to be filled with all sorts of housewares; decor; paper, art and organizer goods; school and beauty supplies; and plethora of other nifty things that make life easier, and usually have some kind of cute factor to it. They also have a great stash of imporated Japanese candies, snacks and drinks. The best part is everything, well almost everything in the store is $1.50 unless otherwise marked. The most I&apos;ve paid for a marked item is $6, but that is usually rare. This past Halloween, I walked into a Daiso and noticed that the entire front of the store was filled with any and all things Halloween; decorations, costumes, dog costumes, more decorations, you name it! Subsequently, decked out for Christmas, Hannukah, and NYE as well; and now Valentine&apos;s Day. This past week, I stopped in a found an array of Valentine cards, gift boxes, candy, decor and gifts. I snatched up heart printed washi (paper) tape and card stock to create my own Valentine cards. I have no doubt that once you have found everything you need for Valentine&apos;s Day (and without breaking the bank), you&apos;ll stray into the other aisles. 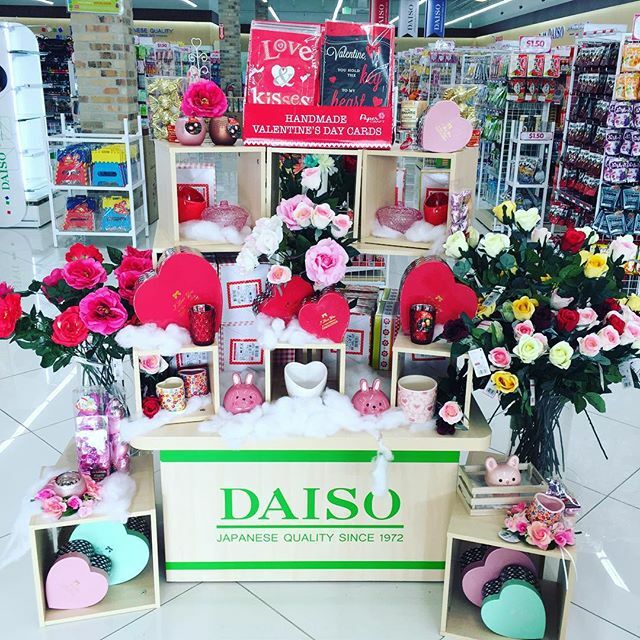 *Image via Daiso Japan USA. If you&apos;re looking to entertain, The Dollar Tree Store is your place! They have a vast selection of party goods, decor, candy as well as gifts such as mugs, toys, plushie. Everything in this store is $1 or less each! Wow! Now that&apos;s savings right there! I always stop in for holiday goods as well as office and party supplies. This past summer, my friend and I hosted a summer birthday BBQ and purchased most of our supplies at the Dollar Tree! I love stopping in here to grab greeting cards which are yes, $1 each (so I stock up on cards for many occasions), and sometimes cards are two for $1. *Images and header image via Dollar Tree. I shopped at Target for specific items that I wanted for Valentine&apos;s Day. For example, I had been seeing this letter balloon garland that I knew I had to have, and would probably have trouble finding something similar at other stores so I purchased one for $5. Target has a surprising array of holiday and fun items in their dollar section at the front of the store. A week ago I found valentine mailboxes, colored glass bottles and craft items. Yesterday the section was filled to the brim with popular and novelty Valentine candies and heart-shaped chocolate boxes. When shopping in this section I usually only see a handful of items that are $1 each, but it&apos;s great to find the unique holiday-inspired items at a more affordable price (usually around $3 each). Target also has an expansive Valentine&apos;s Day section towards the back of the store where you will find an even wider selection of candy. 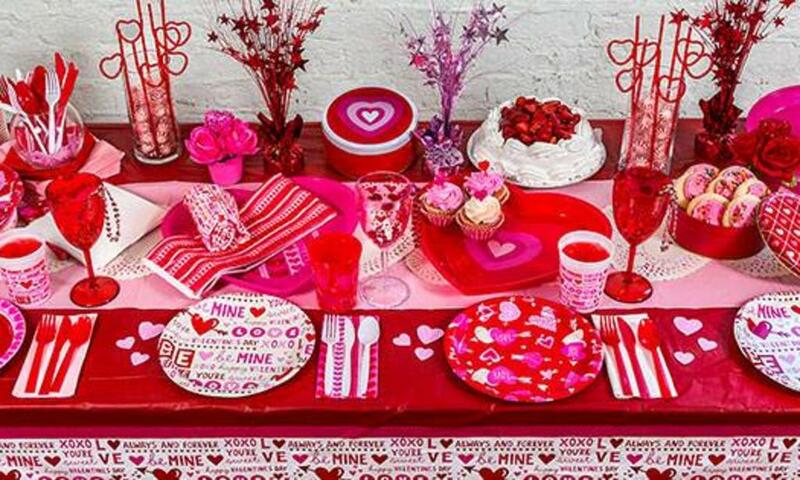 A Valentine&apos;s Day craft-oriented section sits near the greeting cards and party supplu aisles. I found plastic 3D hearts that I purchased gold stickers to turn the hearts into conversation hearts like the candy. *Image via Target.